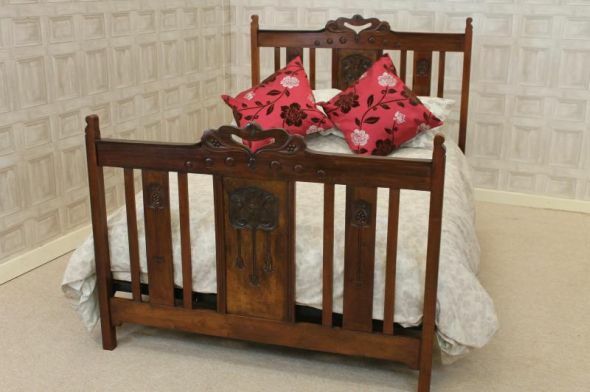 A fine example of a walnut Art Nouveau bed. This beautiful Art Nouveau bed features an elegant headboard and footboard, and comes complete with a newly made pine slatted bed base which is supported with robust side irons. This walnut double bed is in lovely condition for its age, and is ideal to complement any period bedroom setting; ideal for any spare room. There is a small amount of wear and tear which is to be expected from a piece of this age.